The first test is visual. A dry split will have significant checking (cracks) on their ends and are often grey in color. Next is weight. A wet split is heavy and can have a few pounds of water weight. Resplit this wood and press the freshly exposed surface to your face. If it's wet it will feel cool and damp. Lastly, take two splits and bang them together. Do they thud or do they ring with a nice tone. If they thud, it's likely they are wet. noticeable defect or knot in the lumber. The meter is calibrated for Douglas fir. Use the tables provided with the meter to transpose the reading for other species. These meters measure dry-basis moisture, and the general rule is that wood should have a maximum of 20% dry-weight moisture for convenient, clean burning--especially in modern, EPA-compliant stoves. Of course, individual situations will be different. Question: Ive searched here and read that there are different ways of determining MC; wet and dry. If I have it correct the EPA number of 20% is wet and my moisture meter number is dry? So what reading on my moisture meter equals the 20% that my stove is designed for? What would your cutoff number be if you were in my position? Answer: There are different ways of expressing Moisture Content, which dont at all have to do with the method of determining them. The EPA test loads are Douglas fir that is between 16 and 20% wet-basis. That is expressed by taking the weight of the water present and dividing it by the weight of the entire split. Your moisture meter is calibrated for Doug fir as well, but the calculations done by the chip inside of it (or the width of the scale divisions if you are using an analog meter) are done using the dry-basis method of expressing Moisture Content. That is expressed by taking the weight of the water and dividing it by the weight of the dry fiber that would be present in the wood after all the water has been theoretically driven out (as would be done in a 215 oven in a lab). Naturally, you get very different numbers, and this effect grows increasing more substantial as MC rises. Its a mathematical thing, and has nothing to do with the actual wood, which always has the same amount of water in it. If you want a real easy way to convert dry-basis meter readings to the wet-basis used by the EPA tests, just divide the number on the meter by that same number plus 100, and you will get the correct wet-basis MC every time. For example, the meter says the wood is 25% MC. Add 100 to 25, then divide that number (125) by the original reading. 25/125 = 20% MC wet-basis. 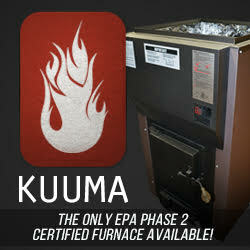 The high end of the EPA test range perfect for you stove. In another case, the meter says the wood is 19% MC. Add 100 to 19, then divide that number (119) by the original reading. 19/119 = 16% MC wet-basis. The low end of the EPA test range perfect for your stove.